Creating The Life You Want in 2015 …………. It is soon to be 2015 and for many of us with the dawning of a New Year comes the setting of new goals and New Year resolutions. If we are honest with one another, we can admit that a couple of those goals/resolutions are new, a few might even be unrealistic but the majority is carried over un-reached from the previous year. Convinced that our thought process has much in common with how we approach and reach our goals, I find the following quote by Frank Outlaw most appropriate. Embrace with me for a moment, the idea that everything perceived (positive/negative) in the natural has its origin in the invisible, inner most depth of our thoughts and beliefs. Therefore; when one entertains thoughts of hopelessness or despair their manifested actions of the same will soon follow. However, entertaining positive thoughts allows us to tackle our goals/resolutions by looking for effective ways in which to reach them. Though it might not be easy, the impact of positive thinking on one’s mental, emotional, and physical health will far outweigh that of negative thinking. Let me stress that being a positive thinker is not about ignoring reality in favor of aspirational thoughts. However, it is more about taking a proactive approach to your life. 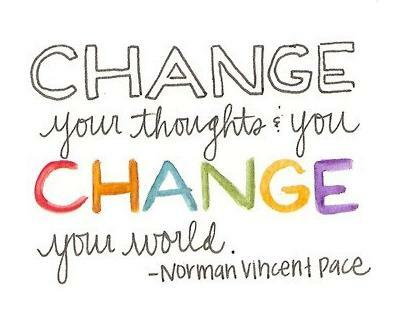 I am reminded of Proverbs 23 verse 7a that states “For as a man thinketh in his heart, so is he.” As with any change we should begin by recognizing the truth and that truth is “our thoughts create our reality”. 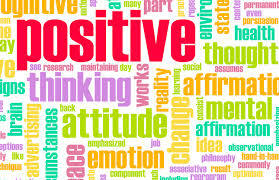 Now let’s be honest, this process of positive thoughts takes practice; and lots of it. Contrary to society’s quick fix for everything, this is not a step-by-step process that you can complete and be done with in an instant. Instead, it involves a lifelong commitment to looking inside oneself and being willing to challenge negative people, thoughts, actions, and habits, then making positive changes for the better. By doing so, we attract into our lives that which we are intended/destined to have. Implement a time for daily prayer/meditation. Regularly – List five things that you are grateful for right now. Be tolerant of others progress and of your own progress. Begin afresh in 2015 by developing a new thought process, one that strives toward elevation and excellence. One that will keep you on a yearlong path to success and prosperity. 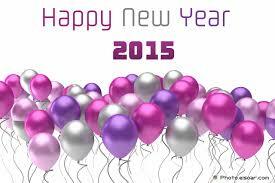 Happy New Year to you and your family, Further more I pray the best for you in all your endeavors. With this being the season of Thanksgiving, I found it most fitting to share just one thing that I am thankful for. Although a bit non- traditional, I find myself most thankful for the freedom of choice. Having the freedom to choose has led me on paths far and wide. As the years have gone by, I’ve tried many things in the way of relationships, ministry, business, jobs, education, etc. All of which led me to this moment and the following thought in which I will share with you today. By realizing the things In Life that I do not like….. I have come to realize the things In Life that I do love……..
By realizing the things In Life that only fools try….. I have come to realize the things In Life that’ll make one cry…..
By realizing the things In Life that I do not want…. I have come to realize that the good things In Life are worth the hunt…. By realizing the things In Life that God foreknew…. I have come to realize the things In Life that I am destined to do….. This one thing I know to be true and that is that no one is to blame for the mistakes I’ve made along the way. Whether battles won or wars lost, I am the captain of my own choices. In fact, I used my TaMiM to arrive at my current destination. What is a TaMiM you ask? According to ancient Jewish wisdom it is an affirmation of life which requires use of our God-given capabilities to make choices. Through life’s earnest experiences and the choices made I’ve come to a place of knowing who I am; who’s I am and most importantly appreciating who I have come to be. Most graciously, I am thankful for this current cycle of choice; my choice to share this post, your choice to read it and the choices that will bring about positive thought and in-turn positive change this Thanksgiving Season. 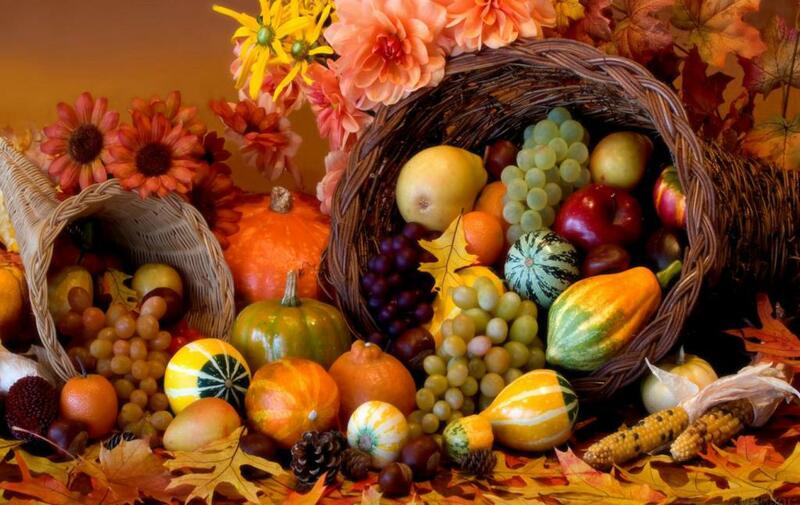 Happy Thanksgiving from my family to yours…..
Robert Fulghum says it best, “Live a balanced life – learn some and think some and draw and paint and sing and dance and play and work every day SOME. A balanced life is living a life of harmony where all things in life work together to complete the whole you. When your life is in balance, you will be more healthy, more energetic, happier, motivated, and satisfied. Socializing, considered a form of mental exercise, provides stimulation for the brain, keeps one sharp, have been associated with lower blood pressure and contributes to longer life expectancies. Improving your emotional health can too, be a rewarding experience. People who are emotionally healthy tend to be in control of their emotions and their behavior. Able to handle life’s challenges, build strong relationships, and recover from setbacks. A few tips; Remember to Set Priorities. List all your tasks if not daily then on a weekly basis, organize them according to priorities. 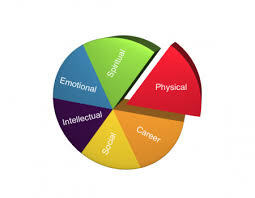 When prioritizing, be sure to consider each area (Physical, Emotional, Career, Spiritual, Intellectual, and Social) pertinent to living a balanced life. Be Flexible. It is pertinent to take a break from routine. Be flexible and adjust your schedules and priorities accordingly. Mind Your Mind. Subconscious beliefs are known to be self-limiting and self-sabotaging. Purposefully embrace the process of positive thinking, especially in the areas of behavioral/habit change, wellness and stress reduction. Establish Accountability. Enlist the help of an accountability partner to encourage you along the way. My hope in 2014 is that YOU Tap into the Whole YOU! It is soon to be 2014 and for many of us with the dawning of a New Year, comes the setting of new goals and New Years resolutions. If we are honest with one another, we’ll admit that a couple of those goals/resolutions are new, a few might even be unrealistic but the majority are carried over from the previous year. Begin afresh in 2014 by developing a new thought process, one that strives toward elevation and excellence. One that will keep you on a yearlong path to success and prosperity. I remember some years ago when my mother (God rest her soul) was dying of colorectal cancer and the doctors had informed us that the cancer had spread throughout her body. It was then, that I was rendered mentally and intellectually deficient. Not only did I not know what to do but it seemed like for days, I existed inside a bubble, never really interacting with the outside world. Although life existed all around me (people, places and things were going on about their daily living) I was at a standstill. My emotions were in turmoil, my thoughts jumbled, my heart was hurting and words escaped me. I myself -was being bullied on this journey called life. The intimidation, the torment, the oppression was too much for me to handle. It was then that II Corinthians 12:9; “My grace is sufficient for you, for My strength is made perfect in weakness” helped me tremendously. Gradually His (God’s) peace diminished my anxiety; His words became my hope and the Holy Spirit my Comforter. Isn’t it funny how the bullies of life in which we hope to avoid, have a way of traveling right down our lane? They work themselves into our daily living so much so that we have no choice but to deal with them head on. Till this day, I have learned that there is no way around them and they won’t just go away. Yes, you have to deal with the bullies of life that come to steal, to kill and to destroy and deal with them you must- Today. In doing so my friend, keep this one thing in mind – bullies are oh so unkind. But this one thing I know and have the scars of life to show! With Jehovah-Sabaoth, the Lord of Host as your source, no bully in hell or otherwise, can stop your flow! The Holy Bible, New King James Version. (1982). Thomas Nelson, Inc.